The 4-story Modulightor Building was designed by Paul Rudolph from 1989-1994 as a residential and commercial structure to house Modulightor, the lighting company he founded with Ernst Wagner. 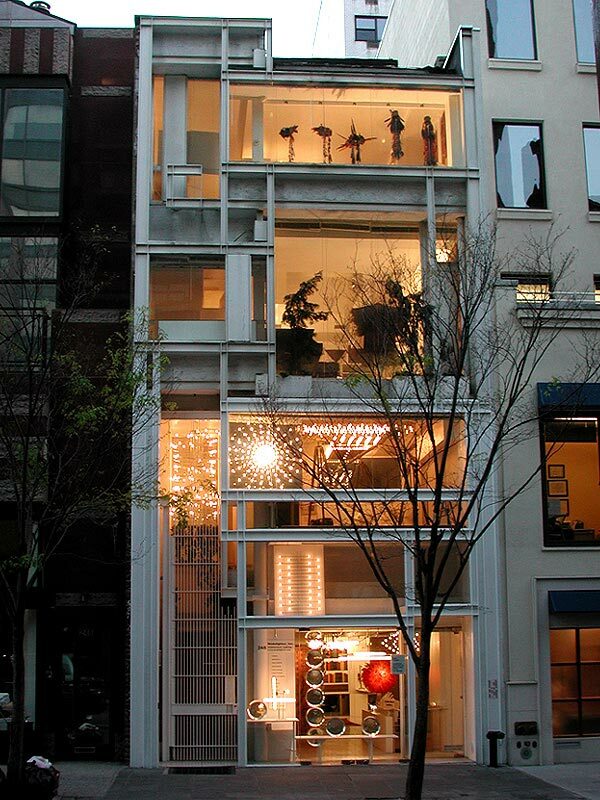 The duplex apartment located on Floors 3 and 4 is the only Rudolph designed residence regularly open to the public in New York City. Floors 5 and 6 were added from 2007-2015 by a former Rudolph employee using Rudolph’s preliminary sketches for an unbuilt 9-story design.